Brushes make a big difference when it comes to A1 glam looks. Whether you're a believer in brushes or not, it's hard to deny that they can do things your hands can't. Your fingertips can't compete with a 140,000-bristle brush that feels like a pillow in brush form. At the end of the day, brushes exist to make our lives easier, and if you've already found your perfect foundation, even better. After you've applied your number one foundation with one of the brushes below, your life will forever be changed and your selfies, upgraded. The key to a good brush is looking for synthetic hair with a generous amount of bristles, which won't waste too much of your product and will make your foundation look flawless. Read on for the best brushes on the market for both powder and liquid foundation. 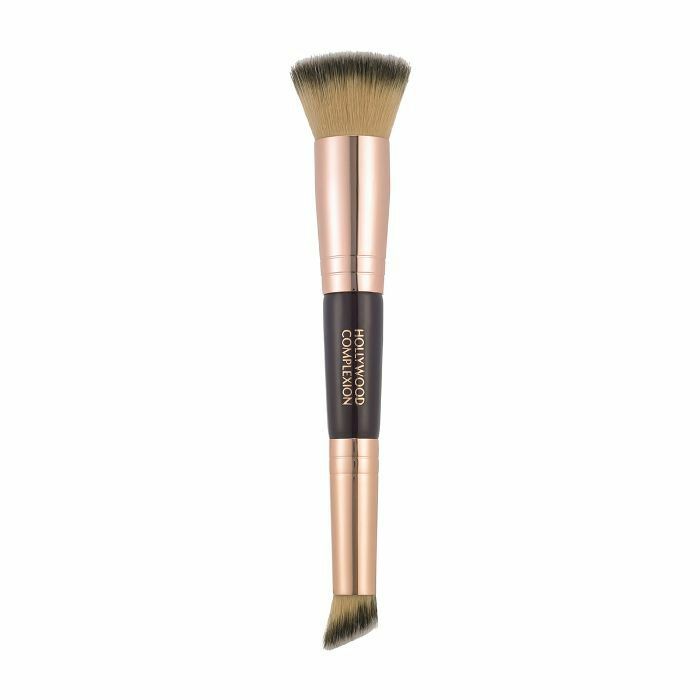 This dual-sided brush features cruelty-free, synthetic-fiber brushes and a flat top, which makes blending a breeze. 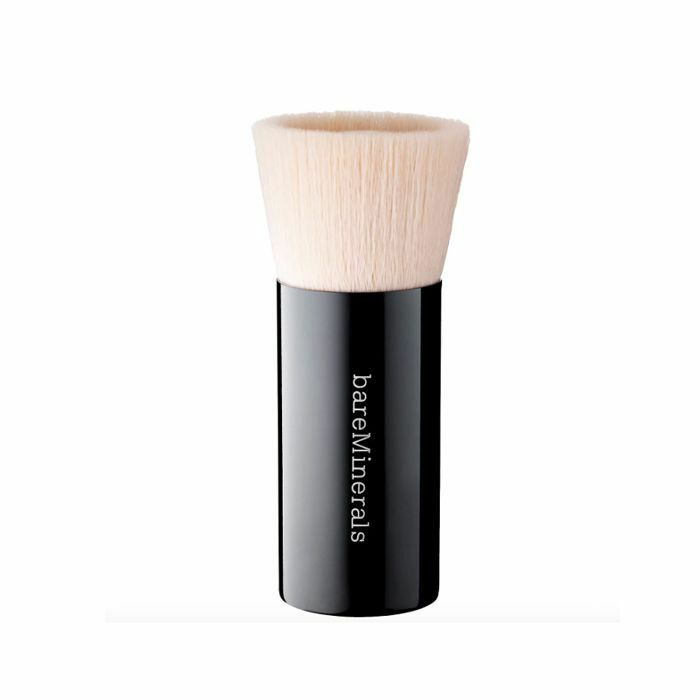 You can use the smaller side for smoothing your foundation in harder-to-reach places. 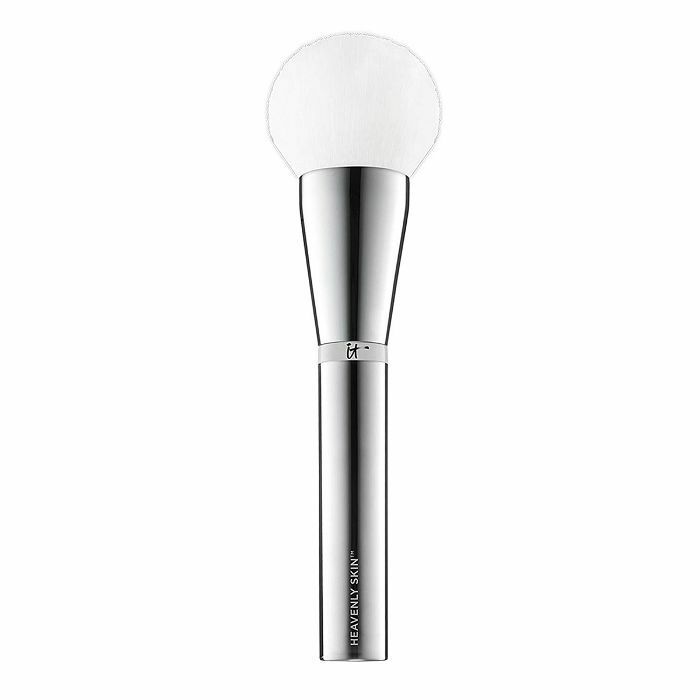 Have you ever used a brush that doubles as skincare? The hair on this uniquely formulated brush is infused with anti-aging collagen, silk, peptides, niacin, and antioxidants. So basically, when you're applying your foundation, you can trust that the actual brush is working in your skin's favor as well. This paw-shaped brush makes your skin look airbrushed post-application. With just enough density in its 140,000 bristles, blending feels nearly instant. 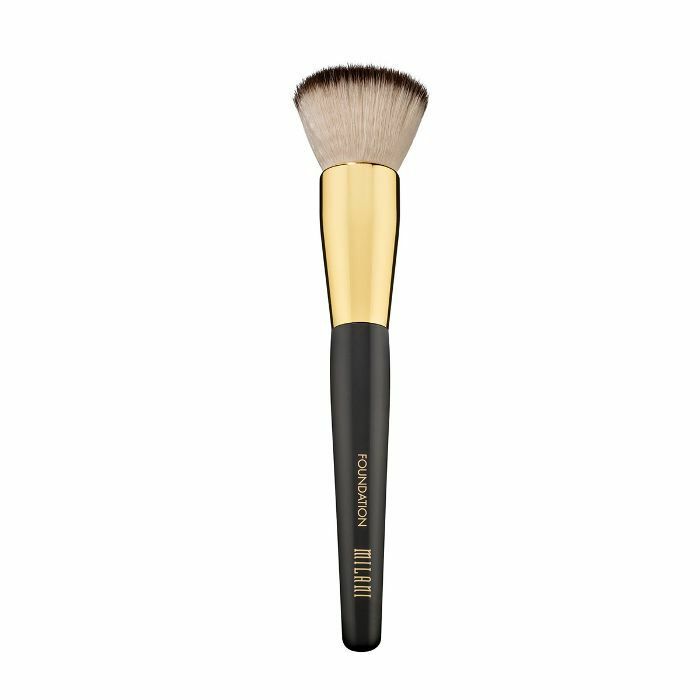 Whether it's powder or liquid foundation, this medium-size buffer brush gives your foundation a soft-focus feel and diffuses any harsh lines. 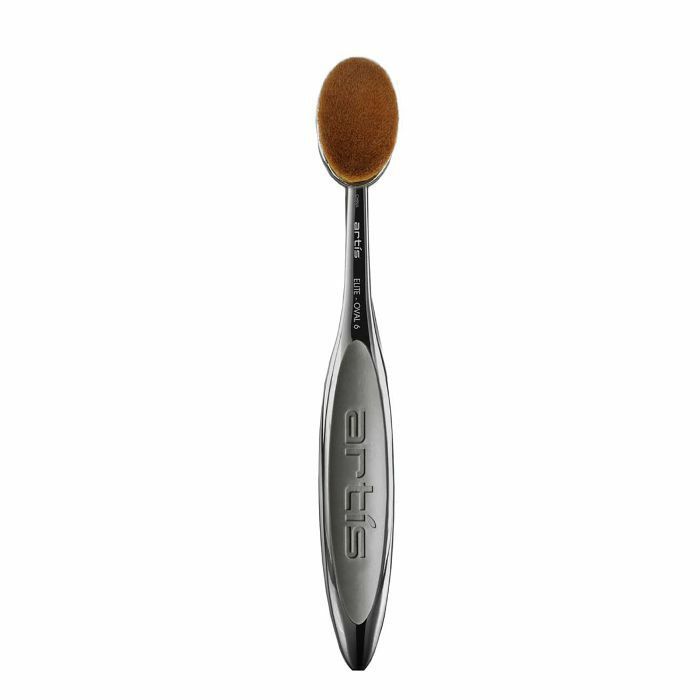 The center of this brush has a slight indent, allowing you to evenly deposit makeup onto your skin without wasting too much product. If you're more of a sheer or full-coverage kind of person, this innovative design allows for a buildable application. You're looking at one of my all-time favorite foundation brushes for next-level blending. When I'm in a rush, I depend on this dense, oval-shaped head to make my foundation look like a flawless veil of second skin. Artis is widely respected as a top-tier foundation brush that delivers next-level coverage. This compact brush is perfect for swirling around underneath your eyes and around your nose area. Oh, and rarely will you find a brush that feels as soft as this. 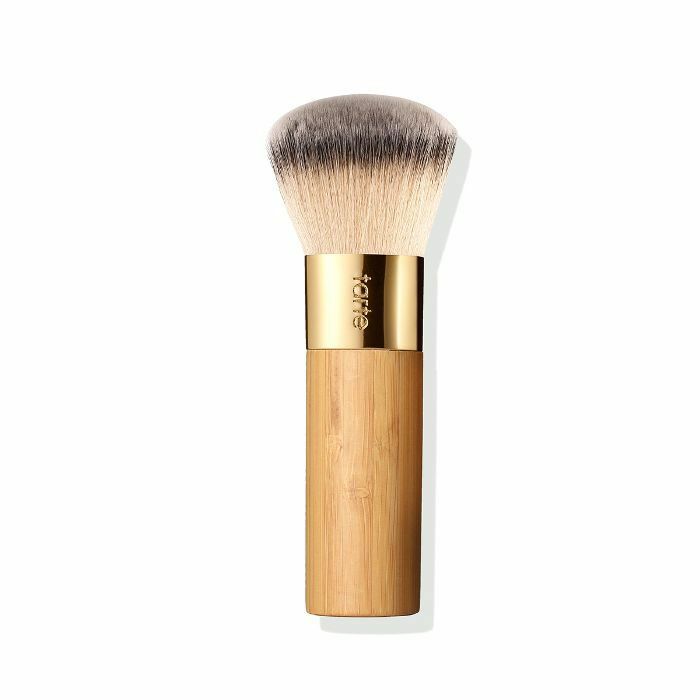 Made specially to give you photogenic skin, this buffing brush makes foundation hug your skin so tight and never let go—until you take it off, of course. The best thing about flat-top brushes is how precise they are when it comes to applying a concentrated amount of foundation in certain areas. 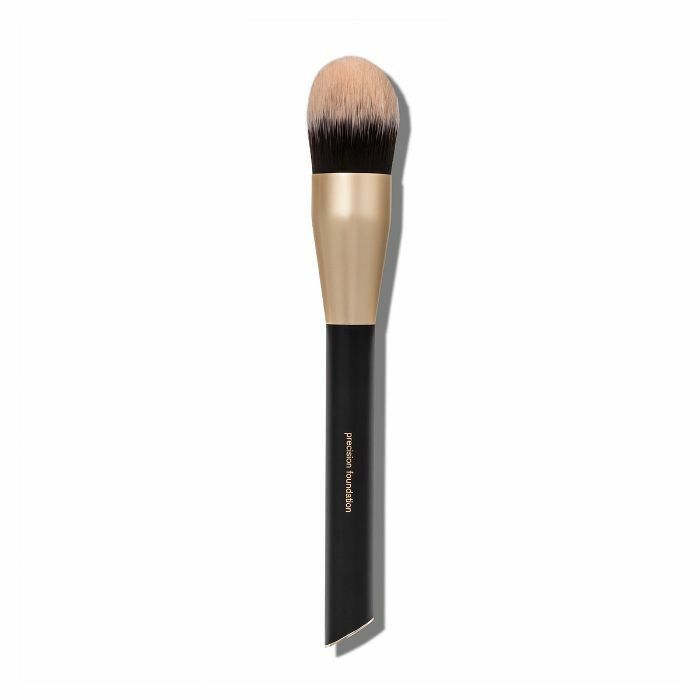 Build coverage on your problem areas with this brush that's designed for you to paint your face like a canvas. 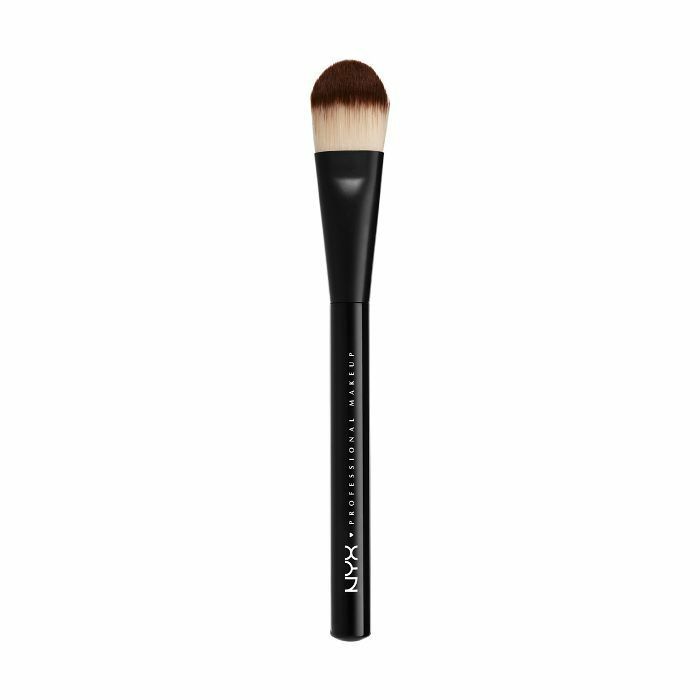 Simplify your life with a foundation brush that works just as well with powder, cream, and liquid-based foundation. This super-wide shape makes gliding product on evenly so easy. 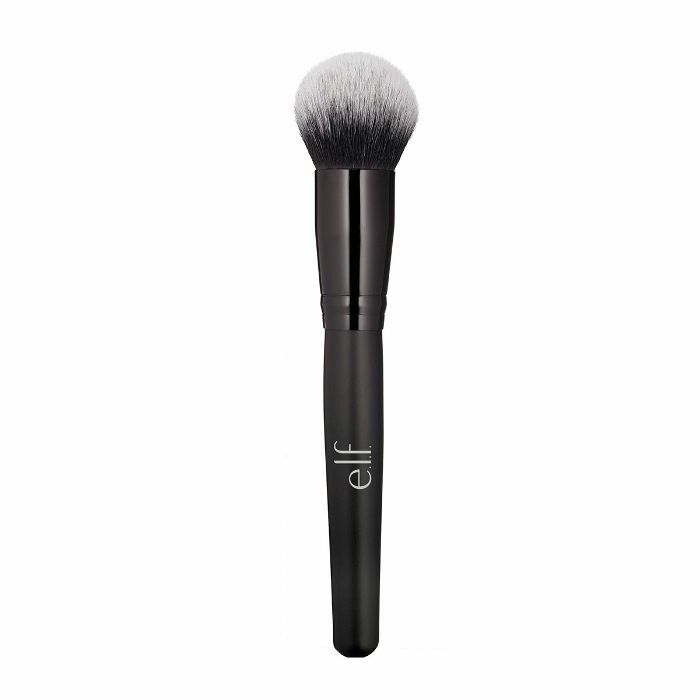 This versatile foundation brush is the best for those rushed moments when you want to look your best in no time. 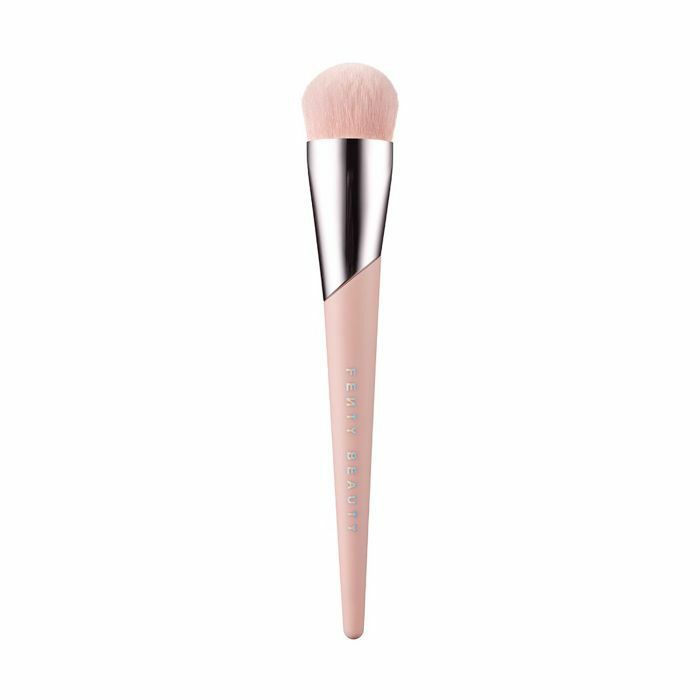 You can count on cutting the blending time in half with this under-$20 gem. Next: Every time we wear these foundations, people compliment us on our skin.